Director, Hydrotherapist & Veterinary Thermography Technician. CertSocSci (open), S.A.C Dip (Animal Care), O.A. 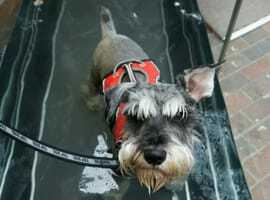 Dip (Animal Psychology), MCHA, ABC Level 3 Diploma in Hydrotherapy for Small Animals. Michelle qualified as a Hydrotherapist at Hawksmoor Animal Rehabilitation Centre and is ABC Nationally accredited in Hydrotherapy for small animals having completed the Introduction to hydrotherapy, Anatomy, Physiology and Clinical Conditions associated with hydrotherapy, Canine Elbow & Hip Dysplasia, Canine Cruciate & Patella Disease distance learning, Advanced Aquatic Treadmill Therapy and Water Management. She is also trained in Canine and Feline First Aid, has a Diploma with Distinction in Animal Care (SAC DIP) and Animal Psychology. 2015 saw the successful completion of Digital Infrared Thermographic Imaging training by SyncThermology. A member of NARP, IRVAP and BVNA. 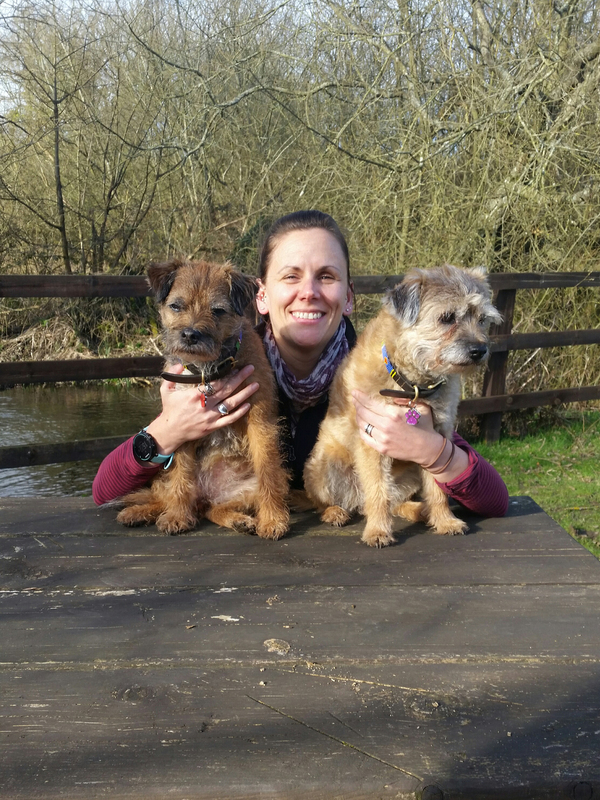 After completing her National Diploma in Animal Management (at Sparsholt College in Winchester) to a triple Distinction level, Lois gained experience working in Canine Hydrotherapy at a previous centre. 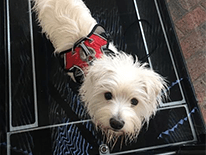 She then went on to fully qualify at Greyfriars in April '11, gaining certificates in Canine First Aid, Pool Water Management, Canine Anatomy and Physiology, Understanding Orthopedic and Spinal conditions and Hydrotherapy theory and practice. 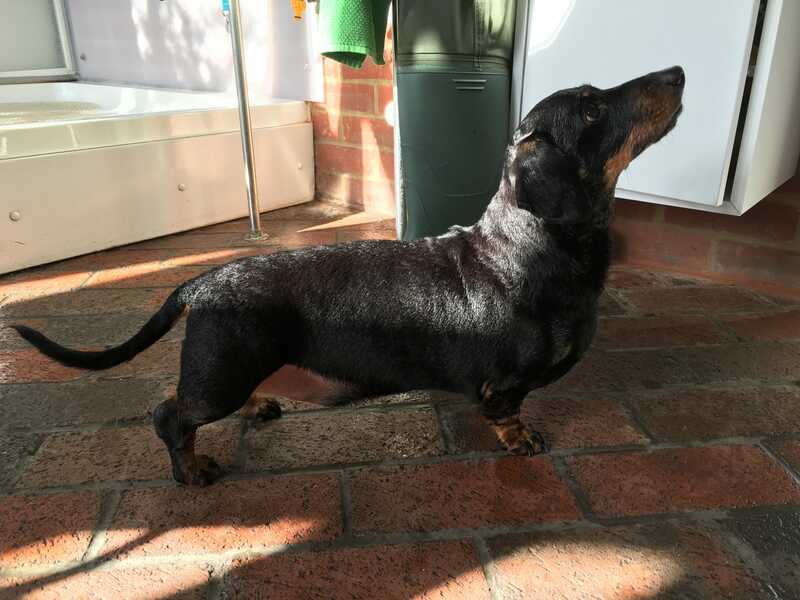 In January '12 she qualified in Aquatic Treadmill Therapy at Hawksmoor and in May '12 Lois attended the Greyfriars Top Up To Level 3 course in which she passed and is now an ABC Nationally accredited Hydrotherapist for small animals. She is currently completing her final assignments to complete her Level 3 Diploma A member of BVNA. 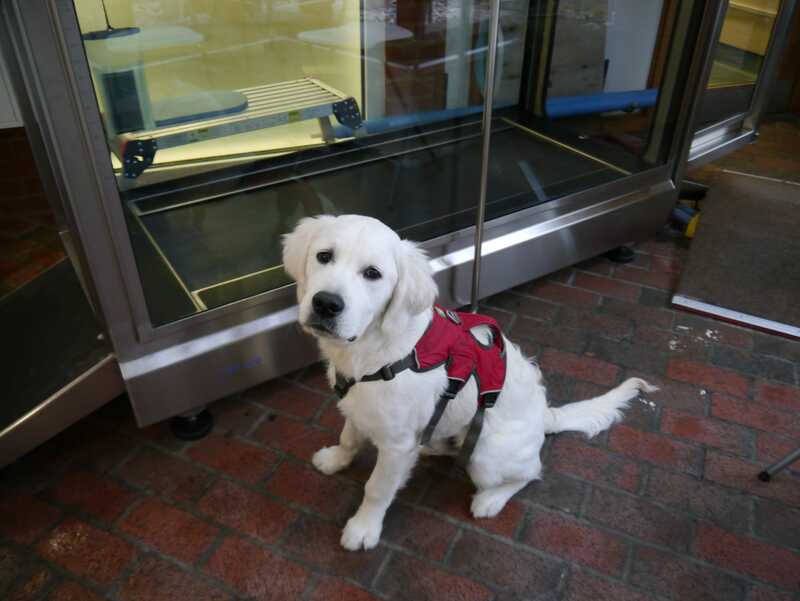 Lois owns Dexter, who is an English Cream Golden Retriever and they have both passed their Pets As Therapy training and will be attending nursing homes and schools together. Sara qualified from Bournemouth University as a human Chartered Physiotherapist. She continues to work for the NHS and privately, and has a special interest in intermediate care. 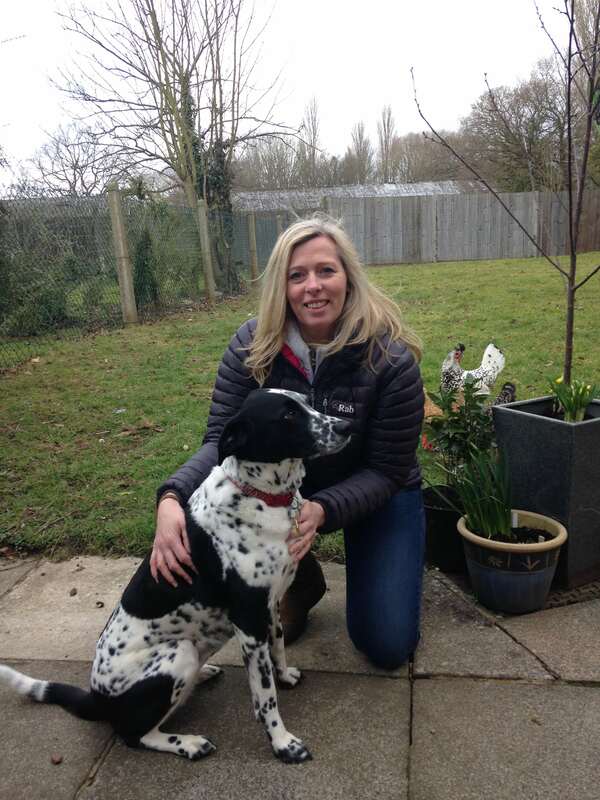 She has completed her post graduate training in Veterinary Physiotherapy at the University Of Liverpool and Leahurst Veterinary College and became a Category A-registered member of ACPAT (Association of Chartered Physiotherapist in Animal Therapy). She has a passion for animal welfare and is the proud owner of a semi retired ex-racehorse and a young rescue horse whom her daughter has now started to compete at BSJ and affiliated this year. In her spare time she enjoys Wake boarding, cycling and having fun with her very lively Dalmatian X Collie (Dolly). Hannah qualified in 2005 at Glasgow University. She works in the small animal department at Donnington Grove Veterinary Surgery. 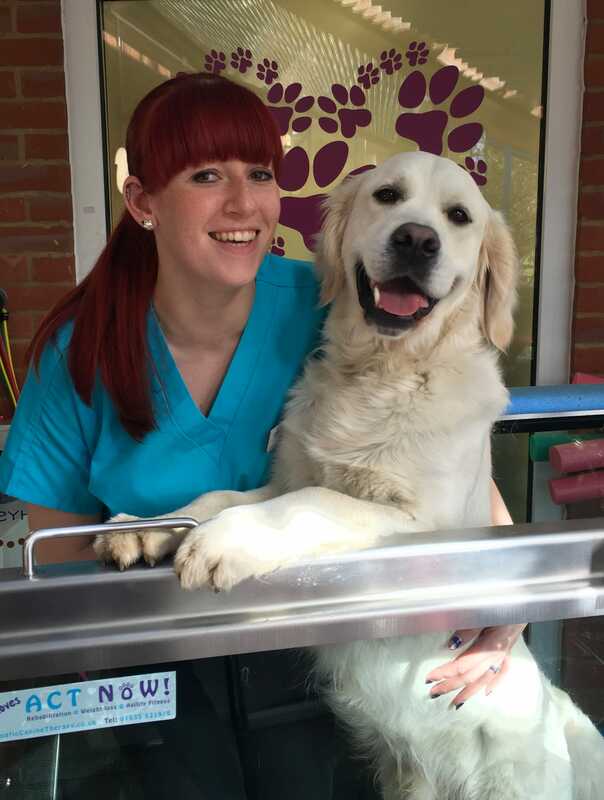 We've been working closely with Hannah over the years with her not only referring patients to us, but also bringing her own dog 'Spud' for hydrotherapy. We strongly feel working within a Multi-Disciplinary team allows the best from of rehabilitation for our patients. When discussing with Hannah about acupuncture, she was kind enough to allow us to recommend our patients to see her for patient. After starting an Animal Anatomy and Physiology ABC Level 3 diploma, Simone was looking into a new career. She has always had an interest in animal care and researched into hydrotherapy after her brother had treatment following a knee operation. Simone also has diplomas in Animal Nutrition and Pet Psychology. She is booked onto an Introduction to Small Animal Hydrotherapy at Hawksmoor; which is a Nationally Accredited course to Level 3 certificate. Simone owns a Minature Schnauzer called Mabel and two cats, Fozzie Bear and Jag. 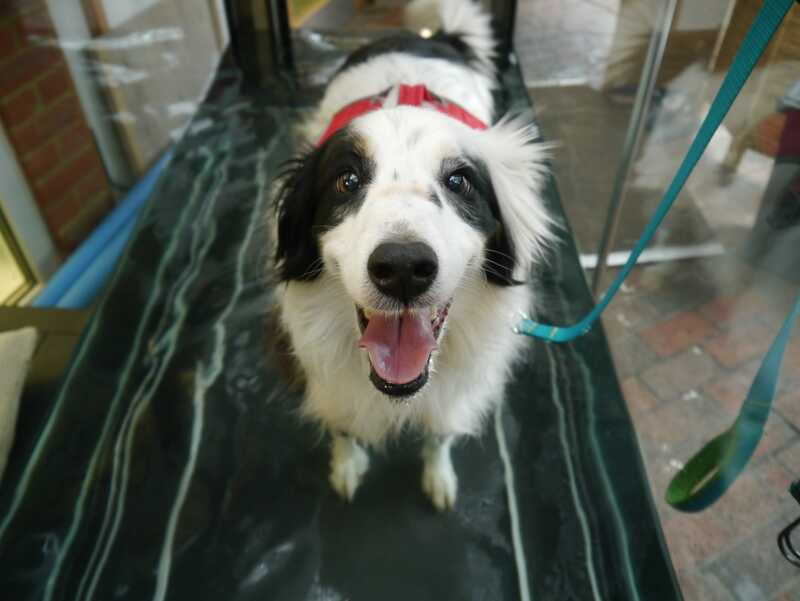 Canine hydrotherapy is a great way to exercise your dog's muscles without putting too much weight on their joints. It is significantly important to strengthen muscles before an operation to prevent problems occurring after. A conditions effecting the nerves and joints, just as common and painful in dogs as in humans. Our team specialise in treating both short and long term spinal injuries, causing pain and difficulty in movement.